Figure 3. Model 5257A block diagram. switching network (figure 4) consisting of CR1, CR2, and CR3. switched to the driver amplifier and the VFO signal is shorted to ground. square waves for driving the stripline pulse generator. junction and then turns off sharply. 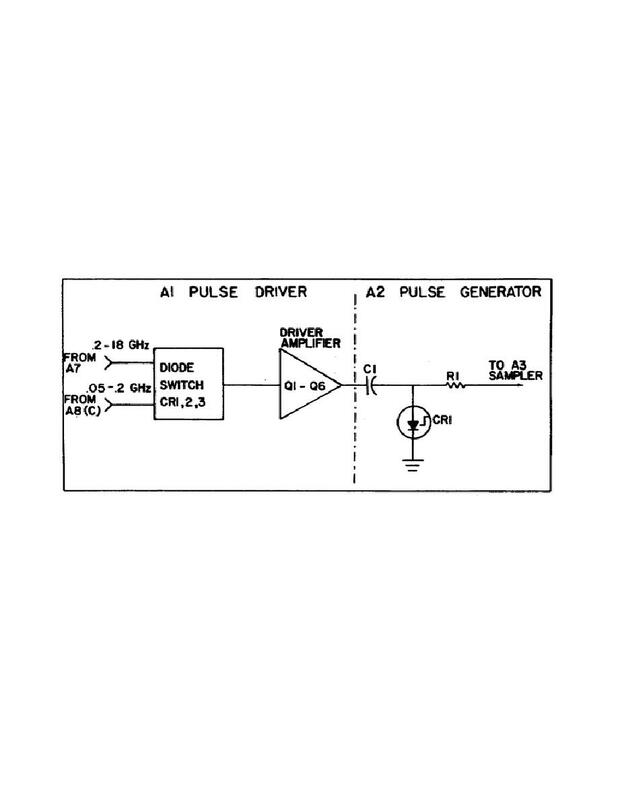 Simplified pulse driver and pulse generator circuits. generator to provide a proper impedance match and eliminate standing waves.